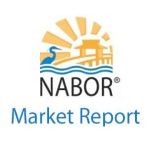 Naples, Fla. (July 19, 2013) – The Naples area real estate market continues to improve in all sectors as shown by key indicators: an increase in pending sales, closed sales, and median closed prices. 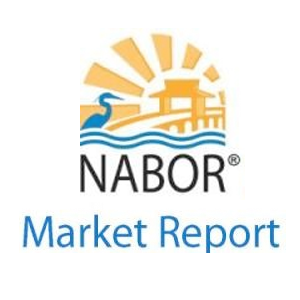 According to a report released by the Naples Area Board of REALTORS® (NABOR®), which tracks home listings and sales within Collier County (excluding Marco Island), the Naples area housing market’s second quarter 2013 surged ahead of the second quarter 2012 in pending sales by 11 percent and in closed sales by 6 percent. During the second quarter of 2013, the Naples area experienced a robust 13 percent increase in the overall median closed home price, which rose from $220,000 in the second quarter of 2012 to $249,000 in the current reported second quarter. “Buyer demand is definitely increasing,” stated Steve Barker, Advising Broker for Equity Realty, who also pointed out that inventory continues to be constrained in all price segments as evidenced in the SunshineMLS statistics, which showed a 16 percent reduction in inventory overall from 6,310 in the second quarter 2012 down to 5,282 properties in the second quarter 2013, the lowest it has been since NABOR® began tracking in January 2007 when inventory was 10,864. Home prices in the Naples area continue to show promise, as the median closed price of the single-family home increased 26 percent from $252,000 in the second quarter 2012 to $318,000 in the second quarter 2013. In addition, the condo median closed price increased 8 percent from $191,000 in the second quarter 2012 up to $207,000 in the second quarter 2013. Overall closed sales increased 6 percent, from 2,911 units in second quarter 2012 to 3,073 units in second quarter 2013. Overall closed sales increased 33 percent in the $300,000-$500,000 category, from 445 units to 593 units, and increased 22 percent in the $1 million-$2 million category, from 170 units to 207 units, from second quarter 2012 to second quarter 2013, respectively. The median closed price increased 13 percent overall, from $220,000 in second quarter 2012 to $249,000 in second quarter 2013. In the $300,000 and under category the median closed price increased 10 percent from $145,000 in second quarter 2012 to $160,000 in second quarter 2013. Overall pending sales increased 11 percent, from 2,877 pending sales in second quarter 2012 to 3,197 pending sales in second quarter 2013. The $2 million+ segment experienced the largest growth this quarter with a 38 percent increase. The average DOM (Days on the Market) decreased 13 percent overall from 184 days in second quarter 2012 to 161 days in second quarter 2013. The $2 million+ segment saw a dramatic 31 percent decrease in this area. The overall median closed price increased 18 percent from $190,000 to $225,000 for the 12-month period ending June 2013. Overall pending sales increased 7 percent from 10,184 units to 10,908 units for the 12-month period ending June 2013. Overall pending sales increased 30 percent in the $300,000 to $500,000 category from 1,440 units to 1,872 units; 19 percent in the $500,000 to $1 million category, from 1,057 units to 1,263 units; increased 26 percent in the $1 million to $2 million category, from 455 units to 572 units; and increased 25 percent in the $2 million plus category, from 271 units to 338 units, respectively for the 12-month period ending June 2013. The average DOM (Days on the Market) decreased 8 percent overall from 177 days in June 2012 to 163 days in June 2013. Inventory decreased 16 percent from 6,310 units in June 2012 to 5,282 units in June 2013. Overall pending sales in the Naples coastal area increased 14 percent from 1,919 units to 2,193 units, and closed sales increased 11 percent, from 1,753 units to 1,948 units, for the 12-month period ending June 2013.